A land blessed with untouched nature, magnificant sunsets, 17 waterfalls including the spectacular Victoria Falls and one of the wildest rivers on the earth, lies on the northern part of South Africa. 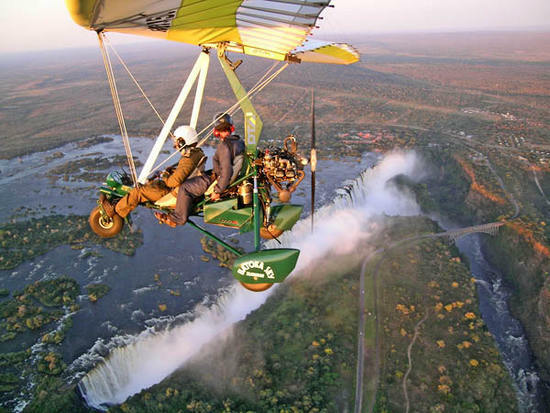 Zambia is the country that attracts both nature lovers and thrill seekers. Many adventures activities can be done while here and there is a wide variety of accommodation options to suit all tastes and budgets.Most of the population is concentrated around the capital Lusaka and in a few urban areas along the major transport corridors - rest of the counry is The Real Africa. Historic colonial city Livingston became tourist capital of Zambia, because of the proximity to the Zambezi River and the spectacular Victoria Falls, "The Smoke That Thunders". 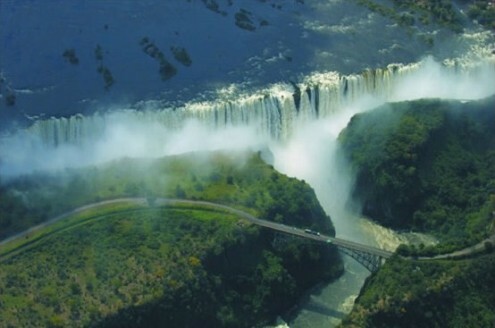 David Livingstone, in 1855, was the first European to see the magnificent waterfalls on the Zambezi River. He named the falls after Queen Victoria, and the Zambian town near the falls is named after him. This small but impressive town is situated 8km from Victoria Falls and 10 km from the Zambezi River. 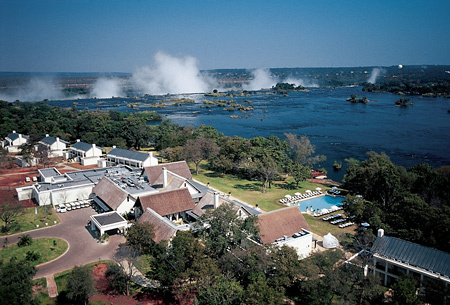 Although Livingstone is the tourist capital of Zambia, the town itself appeared almost untouched, with a mix of rundown colonial architecture and traditional homes - most of the tourism goes on outside of the town in resort-style hotels such as the Zambezi Sun and the Royal Livingstone. This gives the place a unique atmosphere and easy-going charm, less spoilt by commercialism. As a colonial town Livingstone has a fascinating story to tell as one of the first white settlements and as a capital for nearly 30 years. The colonial era built Livingstone Museum houses four galleries permanently displaying: Pre-History, Ethnology, Natural History and Modern Zambian History. Visiting Zambezi river, besides enjoying astonishing sunsets, can bi adrenalin-packed adventure. The river initiates its journey from Zambia, traveling along Angola and finally drains off into the Indian Ocean. With its immense volume of waters, is also highly praised as one of the wildest rivers in the globe. High action adventures includes white water rafting, river boarding, jet boating, bungi jumping, helicopter flights and micro lighting, gorge swinging, river cruising, game viewing, tiger fishing, walking safaris, canoeing safaris. The Victoria Falls with 1708 meters wide and 108 meters deep fall makes it the largest curtain of water in the world. The falls and the surrounding areahave been declared National Parks and UNESCO World Heritage Site. All seasons offer different perspectives of this The 7th wonder of the natural world. Best time to visit is April and May-wonderful months (dry, warm and full Falls) and June-August: warm days, cold nights, dry, full Falls. 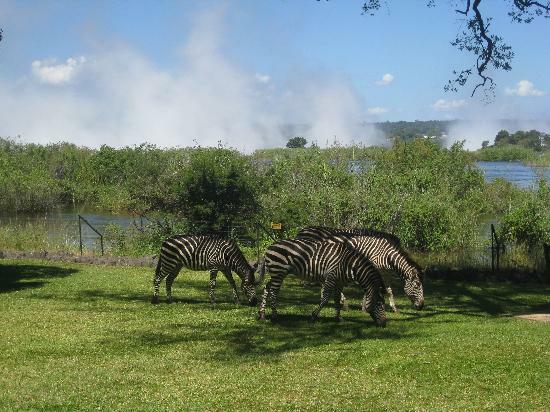 The Mosi-oa-Tunya National Park have a good variety of animal and birdlife. Depending on the season, you can see anything from white rhinos, buffalo, elephant, crocodiles, hippo, plains game and a lot of birds. The Park covers 66 km² (25.5 square miles) so one can take a pleasant drive around the park in a couple of hours. Almost all the species there should be seen at close range and since there are no predators, they are very relaxed and afford some excellent photo opportunities. 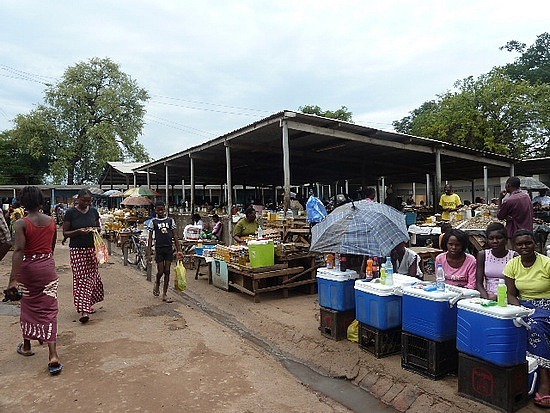 For shoppers, the best place to buy a wide range of crafts and curios is the Mukuni Victoria Falls craft village. Here you can find everything from intricate animal carvings in stone, wood or ivory, or the beautiful green malachite, to masks, drums, marimbas, walking sticks, jewellery and other distinctive African items.